What era in the Trekverse does he belong to? 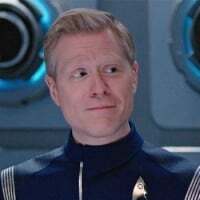 He's from the Voyager episode 'Relativity' where he is the Captain of the 29th Century Federation timeship USS Relativity. 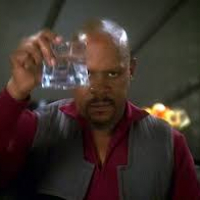 Braxton also appears in an earlier Voyager episode called Future's End, but played by a different actor. Relativity is a great episode. Season 5 Episode 24. It is the episode that Temporal Agent Seven is from. 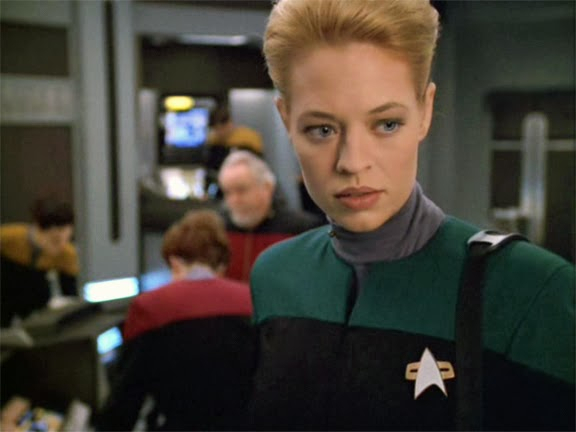 There is someone trying to blow up Voyager and Seven has to travel through time with the help of the 29th century crew of the USS Relativity to find out who and stop them! I'm hoping that at some point the Relativity itself and Lt. Ducane will turn up in the game. Given that the game is literally called Timelines, it seems a no-brainer to me. Tie in all the crazy time travel incursions across all of the series. If you have to ask this kind of question, you don't need to be playing this game and can't call yourself a trek fan. That's just a terrible thing to say to someone. Just because someone isn't familiar with every single character within the Trek Universe, does not disqualify them as a fan. It also certainly doesn't give you the right to tell them to stop playing the game. You seem like you'd be a lot of fun at parties. But try not to use 1701 Dax again... she's tired and needs to sleep. An epic, time-travel-themed mega, collecting rare specimens not only from across space, but time as well, essentially mirroring our own player experience... did somebody order a recurring 5* Kivas Fajo??? An epic, time-travelling mega, collecting rare specimens not only from across all space, but time as well, essentially mirroring our own player experience... did somebody order a recurring 5* Kivas Fajo??? I was trying to think of a good recurring character. That's IT! Yassss - from your lips to DB's ears. Well said Zetterbeard. I find weeks where I have to google one of the characters or ask someone. Star Trek is welcome to everyone, die hard fans, medium fans, fans of just one series, new fans, and people just looking for a fun game. 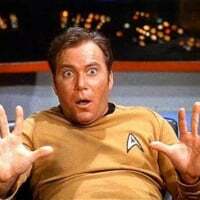 Would be really cool if Star Trek Timelines did not just bring in star trek fans but made them as well. Also, younger people were not alive when most of these series were on and have not seen every episode or every series. I envy them being able to watch all these shows for the first time. Why would you ever say something like that? I did have to google whether we actually saw the relativity in the episode as I couldn't remember the exterior ever being shown... happily Google says YES! Very rude!!!! That is not the trek way. Maybe you should consider resigning your commission. You will never be promoted with that type of attitude. I found the inquiry un-educated as well but educating fellow members and being helpful is how to respond. Not degrading them. Being un-educated is not un-worthy. Seeking knowledge, education and having the courage to ask is the trek way. No, I just never watched Voyager so I wasn't familiar with the character. Relativity mega Great!!!! Fajo not great recurrent. Maybe more apropriate recurrent could be Henry Stark, or Lt Ducane, 21st century guinan, Mark Twain or Mrs Carmichael from “times arrow”, Yedrin Dax. You might want to reexamine the ideals of Star Trek if you think that's the takeaway. Yeah and we'd have to call the expedition event fatigue temporal psychosis. I'm sure everyone would know how that feels. Description: The timeline is in disarray, incredible artifacts and cultural icons have gone missing and in turn changing ancient timelines of major civilizations. 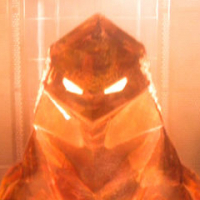 Factions need help investigating what is happening to cause these temporal disruptions. Guinan senses the problem, Rasmussen is brought in as an expert in time travel larceny, Atoz proves the missing icons and artifacts are gone from temporal record. Description: To stop Fajo from destroying multiple cultures, Starfleet has deemed it necessary to involve the future timeship Relativity. The problem is, Fajo and other factions are racing to control it first. Our heroes need to skirmish battle past all other challengers to control the U.S.S. Relativity and ultimately stop Fajo from taking her. Nausican Captain is a co-antagonist. Mirror Janeway is fighting for herself. 20th Century Braxon is a victim of Fajo's temporal meddling. Description: With the Relativity, our heroes must repair what damage Fajo has already caused. Phase one: Retake the artifacts. Phase two: return them to their temporal origins. Get the Exoarchaologists out to fix the damage. Description: Fajo is still at large, time to assemble the best, spies, smugglers and operatives to finally track down and put an end to this temporal menace! I forgot to mention, Temporal Agents should be bonus for the entire series. Would be good if we could get Mark Twain too. But I am not picky, I will settle for Samuel Clemens. Characters are of course up for grabs, because this was written with zero legal knowledge. But I hope it conveys the story I imagined. Literally my ONLY gripe is that there seems to be a staggering lack of event crew for your expedition, arguably the event type that requires the most event crew. Otherwise, 10 out of 10, would "Awesome" again. I feel like I am a pretty stridently dedicated Trek fan and even I can’t remember all of the names and shows. Perhaps all Picard variants could count for Richard Galen and/or all Q variants for Vash?